This section contains the details of the items. 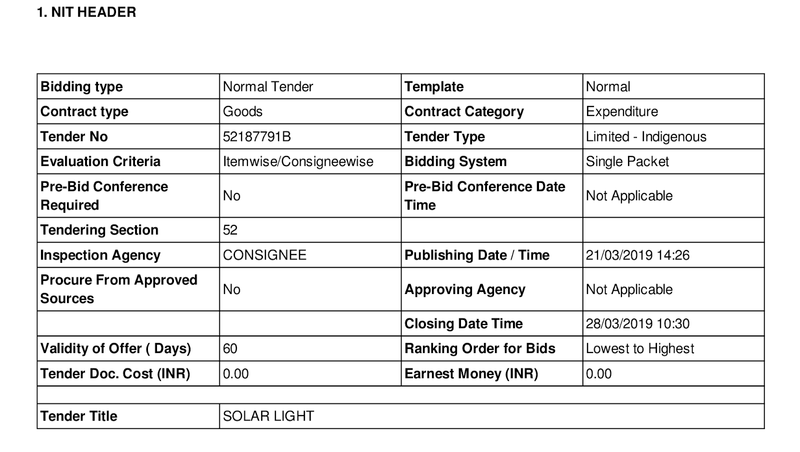 It shows all the items & Consignees included in the tender along with other relevant details. The governing terms and conditions like payment terms, inspection agency etc. applicable to the tender are detailed in this section. 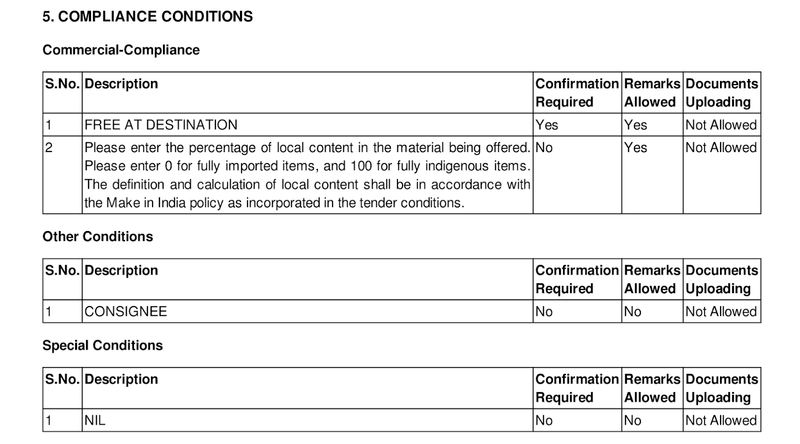 The eligibility conditions included in the tender are shown in this section. 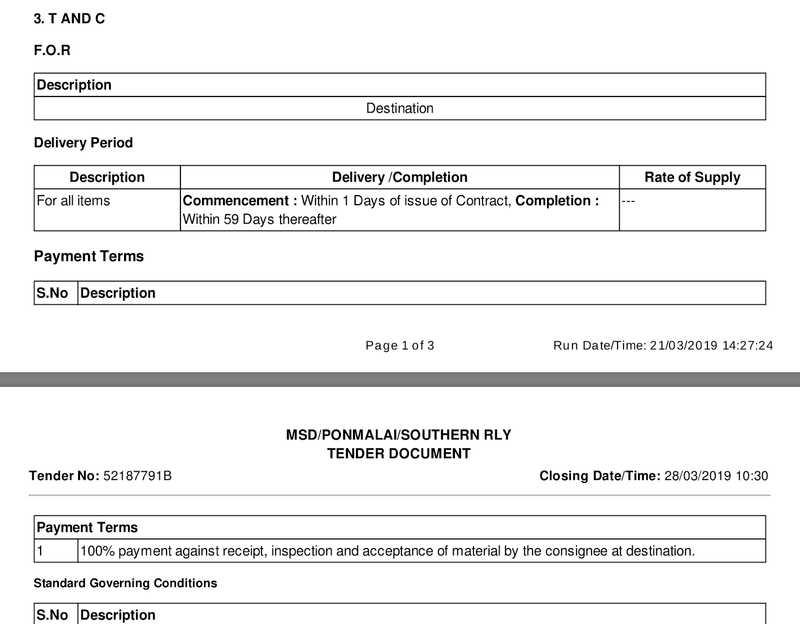 This section shows the General Instructions, Special Conditions, Technical/ Commercial Compliance Conditions, Undertakings, Checklists and other miscellaneous conditions included by the tender issuing department in the tender document. 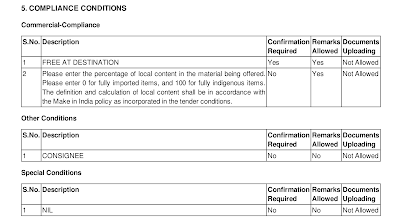 It is also indicated against each condition whether the bidder is required to confirm whether he complies or not with the requirements of the condition (by clicking on the yes/no buttons), whether the bidder is allowed to enter his comments/remarks against the clause, and whether documents uploading against the condition is Allowed (Mandatory), Allowed (Optional) or Not Allowed. 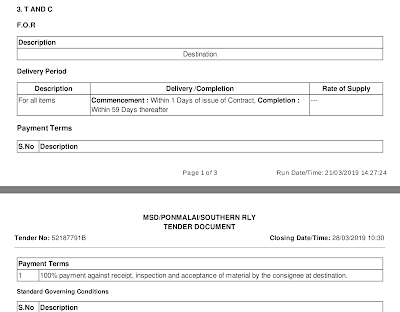 The documents section lists all the documents related to the tender which have been uploaded by the tendering department for the tender. Responsiveness section contains the responsiveness clauses included in the tender. 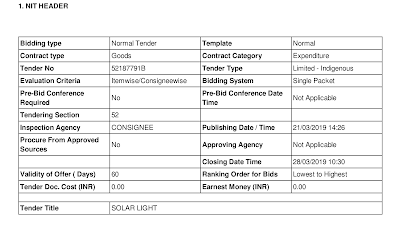 The bidder is required to confirm acceptance to the responsiveness conditions before submission of bids, and before making payment for EMD and TDC.